Monday February 9th: Does this look like going to sleep to you? 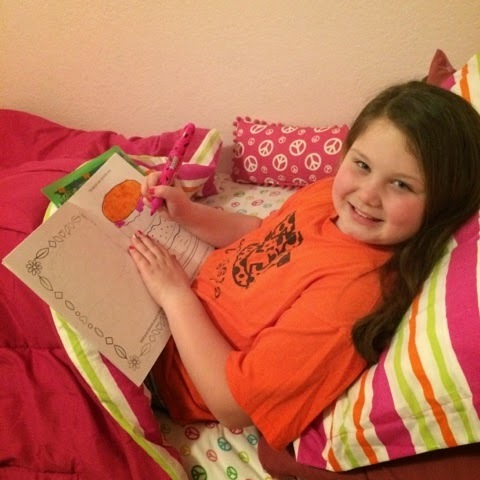 I went to tuck her in and she was in bed coloring! Silly sissy. 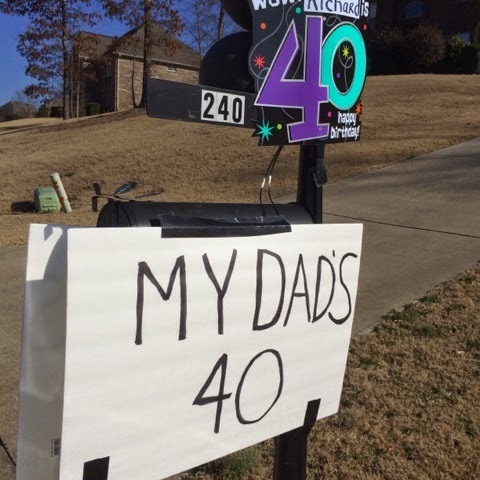 Tuesday, February 10th: Happy 40th Birthday Daddy! Today was RP's birthday and he turned 40!!! He had a few signs in the neighborhood letting everyone know! 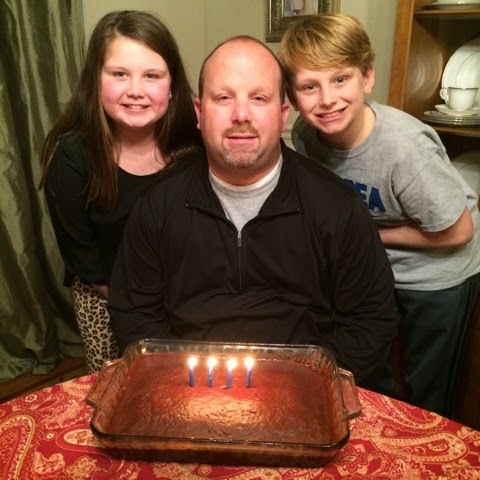 We all enjoyed lasagna and cake at home! 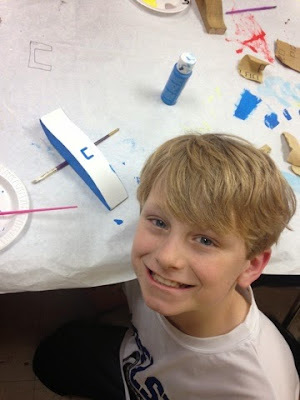 I can't believe that this is JP's last year to make a derby car and race it in the RA Racer Derby at church! He has been doing this for 6 years! Crazy how quickly times goes by! Thursday, February 12th: V Day treats are ready! Sis is all ready to celebrate Valentine's Day tomorrow at school! 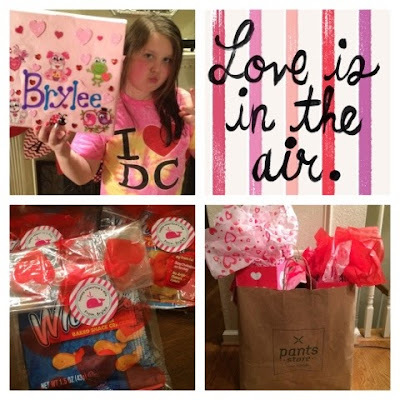 She made her box & gave her friends whale crackers with these cute little stickers she picked out and we ordered from !groopdealz! Friday February 13th: My little love bug is all ready to party!!! 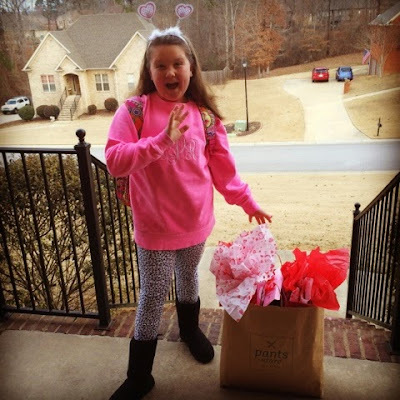 Saturday, February 14th: Happy Valentines Day!! 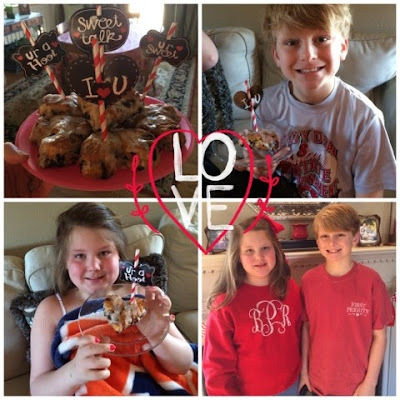 Jackson and Brylee woke up to a few surprises from "Cupid" and heart shaped Bo Berry Biscuits for breakfast! Then they went to a mission conference at church from 9-2:30! RP and I enjoyed a yummy lunch at Papadeaux while they were away! Then we grabbed pizza and shared our yummy desserts for dinner at home with the kiddos! 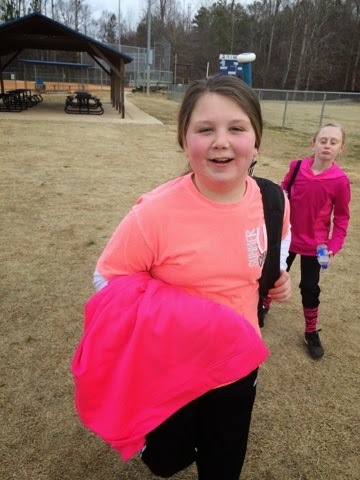 Sunday, February 15th: 1st Softball Practice! These two goof balls would not be still long enough to let me take their picture after practice! So you get what you get! Softball is officially underway!